Get your FREE psychic Reading Today!! Tamalyn is a Gifted empathic intuitive psychic healer. She tunes in empathically and can give you detailed insight into your situations. Her wonderful healing energies help remove negative energies from your aura and relationships promoting positive growth. Double Click on the BUY NOW button to order your TEN minute FREE Psychic Reading!! Customer Name: pchy Date: 05/02/2002 Grrrrrrrreat would recommend to anyone!!. 3/22/2002 dtrofoshun - This advisor's healing energy is so wonderful. 02/20/2002 capricorn53 - "This is the advisor to call if you or loved ones need some Spiritual healing. Highly recommended if your relationship needs a spiritual 'tune-up' or guidance. THANK YOU!" 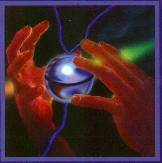 02/18/2002 loveangel4u - "a phenomenal lady..truly a gifted healer and reader....a must call!" 02/16/2002 taniac14 - "thank you tamalyn - great as always". 02/16/2002 anniversary - "she was pretty good and I appreiciate her insight." 02/12/2002 tamoshane - "Interesting call. Give good insight into the current situation. Would call again." 02/11/2002 raybjr - "She will always be there. A guardian Angel Who will guide what you do, Her heart filled with love Sent to watch over you." 02/07/2002 karenna - "Nice reading. She was able to really connect with the big picture of what is happening in my life. Would definitely recommend Tamalyn. Thank you." 02/07/2002 capricorn53 - "A must experience for those who are trying to evolve Spiritually. I felt that my relationship will be better-off for the call. Her mediumship is extraodinary & seems to be highly developed. HEALING!" 02/06/2002 pacgirl "I really enjoyed talking to her she was kind of very correct on my situation thanks barb"
02/06/2002 truespiritnow - "again you are very very caring and gifted..thank you for your support!" 02/06/2002 truespiritnow - "thanks so very much for taking on my pain and looking at the big picture.k.you have a true gift. (: "
02/05/2002 loveangel4u - "JUST AMAZING! I am so grateful i found this woman...she is a special lady with extraordianry gifts... She is a must call if you have any relationship issue..thanks so much Tamalyn!!" 02/04/2002 justine730 - "Very insightful. Thanks for a nice reading. I will call again when I have more time." 02/02/2002 bellisima - "She was very helpful with her advice and I would urge you to call her." 02/02/2002 problematic - "Tamalyn is the best everyone should call her!" 02/01/2002 raybjr - "On a wing and a prayer, And through your lifetime She will always be there. A guardian Angel Who will guide what you do, Her heart filled with love Sent to watch over you"
01/26/2002 happykid "Her perception of my situation is interesting. She really wish to help" out. 01/25/2002 mpaine "thank you for a insightful reading." 01/25/2002 cyl0123 - "I really enjoyed my reading with Tamalyn she keyed right in to the issue(point) without asking a lot of questions. Thx Cathy"
12/03/2001 wonderworld "THANKS... YOU'RE WONDERFUL"
11/30/2001 soulfuleyes "She provided me with information that I am already aware of but I wanted to see if she could pick up on this and she did. " 11/26/2001 irondog "very gifted woman here,thanks"
11/26/2001 blaize111 - "She was right on the money. She gave an excellent reading." 11/26/2001 sandralynn93 - "I had a very enjoyable reading, it was so different from other readings that I've had, but the outcome, the things she told me about were what I feel IS happening and will happen in my future. A very good reading!" 11/24/2001 brigid115 - "Exceptionally informative and extremely accurate!" 11/22/2001 papwalter - "She realy knows what she is talking about.past.present @furture." 11/15/2001 irondog - "This was a very Great Pleasure Tamalyn, Far more than a run of the mill online-psychic. This woman has the abilities and knowledge of a true Healer. Thank you very much!!!!!!!" 10/20/2001 heatherwood - "now that was an AMAZING reading:) pretty darn cool. will definitely call again. thank you thank you thank you"
10/12/2001 dcoolcat - "Tamalyn technique is very unique. Awesome... thanx"
Appointments can be made with Tamalyn at 1-866-826-2596 or 1-866-TAMALYN (toll free). Please leave a message with your phone number if Tamalyn is not available. She usually works in the mornings and the evenings. Also can order reading online Her reasonable rates are $1 per minute or $60 per hour (10 minutes Free with 60 minutes purchased). Mastercard & Visa Accepted (Also accept American Express, Diners Club and Discover Card, but prefer Visa or Mastercard).